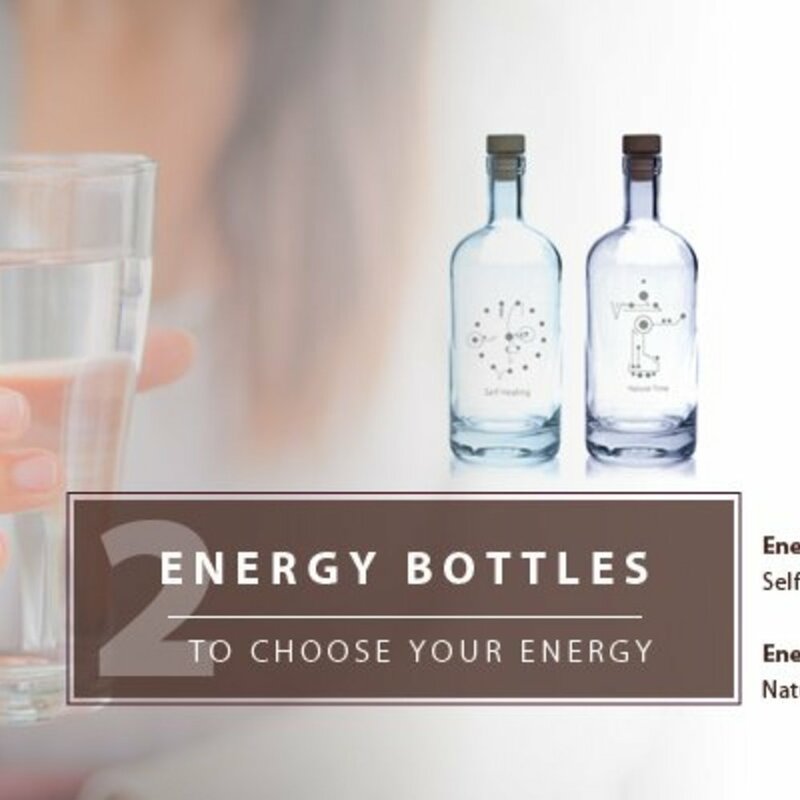 A beautiful bottle, with the silvercode on glass, that increases the energy of water, so that the water you drink does not only taste purer, but also has a positive influence on your energy, emotions and health. Water carries information and we are able to influence this. Actually we do that all the time, because whilst you are reading this, you are reading with water. That sounds crazy, but it is true. The human eye is comprised of 95%. Water. The brains comprised of more than 75%. Our heart, blood, lungs, liver ... our whole body is comprised of more than 70% water. All that water needs to be topped up all the time. The question is: with which water do you want to do that? A silver code is connected to all the geometrical patterns designed by Janosh. This energetic code is the bearer of vibrations and has a harmonizing effect on the surroundings. Because the silver code is embodied in the bottle, then this bottle becomes an energetic tool to cleanse the water. Water from the tap does not have the same natural vibrations as water from source, because the modern cleansing system brings the molecular structure of the water out of balance (this has been scientifically proven by the Austrian scientist Viktor Schauberger). The water might be clean, but it misses energy. 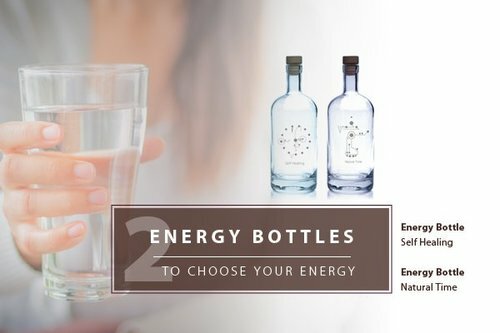 The Energy Bottle repairs the vitality of the water. Fill the bottle and allow the water to stand for 10 minutes. When you drink the water, you may not taste anything right away, but you will feel it: the water is 100% pure and cleansing! 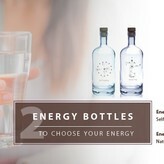 De Silvercode of these bottles are Self Healing and Naturel Time.